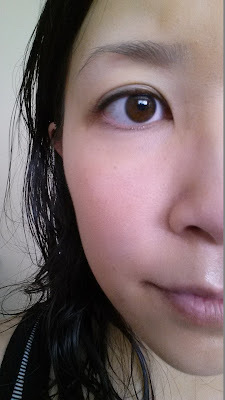 Mascara is a must-have in every woman's beauty arsenal and is something I wear 99% of the time, even on weekends where I may only venture out to get fried chicken (I live near a fried chicken place, don't judge), so I'm always on the hunt for a new HG mascara. 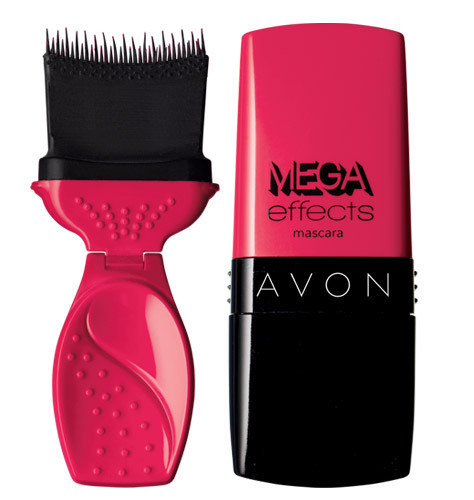 When Avon offered to let me try their new Mega Effects Mascara, which claims to offer gorgeously lush lashes that last for 24 hours, I jumped at the chance. The key to this new mascara is Avon's innovative brush design. In a dramatic departure from the usual wand, Avon has redesigned their brush to be more like a paintbrush with 270 degrees of bristles that coat your lashes from all angles, providing up to 40% more product coverage according to the Avon website. There's nothing particularly interesting in this formula, with the main ingredients being the usual adhesive and color coating materials. One tube contains 0.317 oz and will cost you $10. Compare that to the Covergirl Lash Blast which weights in at just over 0.4 oz and costs around the same and you'll see that you are getting slightly less product. If you're one to quibble over 0.1 oz then power to you, but I don't feel that's significant enough of an amount to make much difference. Besides the unique brush shape, this mascara also features a cap similar to the ones found on some nail polishes. I found this cap to be aesthetically pleasing, but superfluous and I would prefer this product without one. If you're doing touch-ups to your lashes on the go, it's handy to not have another thing to hold onto in your hands. Also, I found the applicator itself to feel too flimsy in my hands. While Avon encourages users to adjust the brush's angle to fit their application technique, I was too worried about breaking the brush, so I refrained from bending it too much. The thing I disliked the most about this mascara was the learning curve involved with the new brush. The package instructions seemed clear enough, but after watching this instructional video, I realized I was using it wrong. In my opinion, mascara shouldn't require instructional videos! Like most mascaras, the formula was a bit gloopy and wet on the first few applications. After almost 2 weeks of daily use however, I have to say I am fairly pleased with this product's results. As you can see, there is quite a big difference in terms of definition, curl and volume! I think the 3 sided brush does actually make a difference in volume and certainly in length. In fact, I found that my lashes would constantly brush against my glasses during the day because the mascara made them so long. #firstworldproblems. Despite the boost in volume and length, I still find this formula to be too wet. It takes a good 3 minutes for my lashes to dry enough that I don't get product residue if I lightly brush my lashes over my finger. That's 3 minutes too long for me when I'm rushed in the morning. 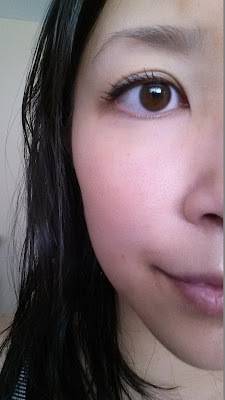 Although I think Avon is truly being innovative here and has created a mostly successful product, I think I will still recommend Lash Blast as the better cheap alternative. I haven't seen anything like this before! Crazy that it comes with an instructional video. I'd probably only try this if it was given to me for free haha. It doesn't look that bad on you. I love your reviewing system. I think it is so informational.